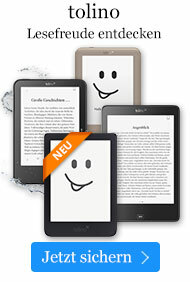 eBook € 8,46* inkl. MwSt. New York Times bestselling author Linda Lael Miller gave readers "a gift to treasure" (Romantic Times) with her acclaimed Springwater Seasons novels. Now, once again capturing the spirit of early America, she delivers a marvelous tale of love, family loyalty, and passionate desire on the Western frontier -- where fairy tales sometimes do come true. She was the only child of a rich and powerful rancher. He was the son of a drunken ne'er-do-well. But when eleven-year-old Luke Shardlow rescued eight-year-old Charity Barnham from drowning, she promised him one wish...any wish his heart might desire. Fifteen years later, Charity and Luke meet once more, but the gulf between them seems as wide as ever. Charity is engaged to a neighboring rancher her father has chosen for her. Luke still seems to be a Shardlow to the core -- a drifter, maybe even an outlaw, on a road to nowhere. But things are not always what they appear, for Luke has a few secrets to hide. And as a sweet, sensual passion begins to grow between them, Luke and Charity discover that the only wish either of them long to fulfill is to spend a sweet eternity in each other's arms -- no matter the cost.